There is only one thing followers of all diets agree on. We need to consume more leafy greens. Savoy cabbage being one of them. 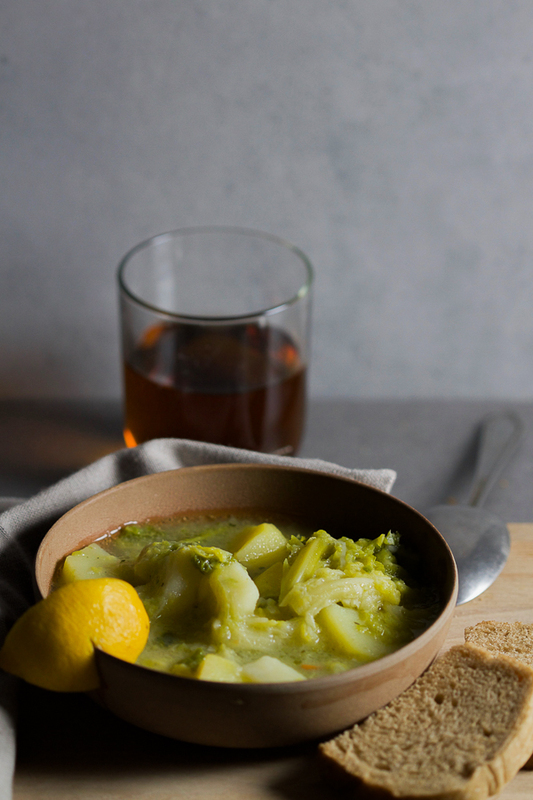 A great way to consume it is the savoy cabbage stew. 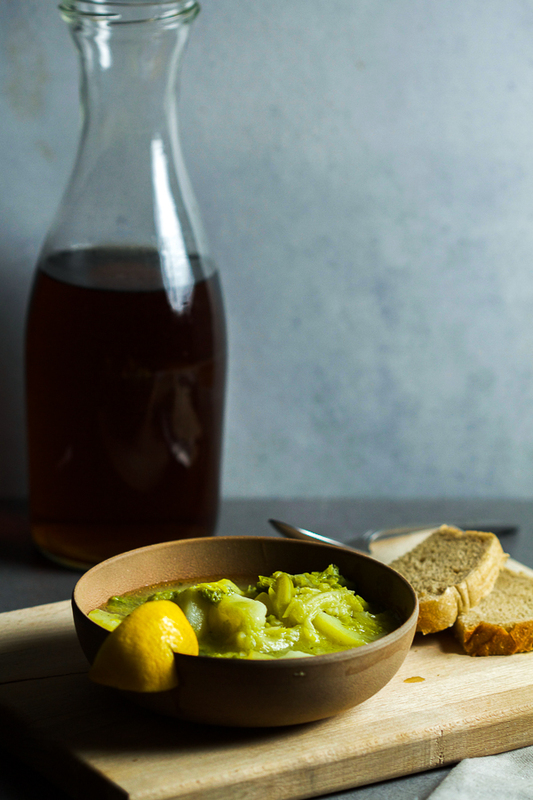 As savoy cabbage is a little tough, before making the stew you’ll need to boil them for a few minutes. If you have a younger head of savoy cabbage, 2-3 minutes are enough. For an older head, go closer to 4-5. 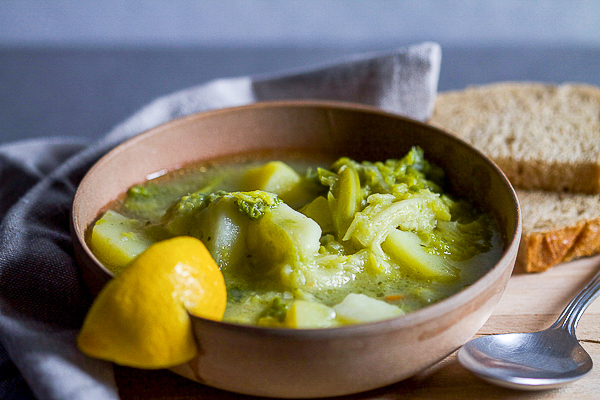 You’ll see over time, if you make the savoy cabbage stew more than once, what your preferences are. Maybe you like the stew to be even softer, in which case prolong the boiling. For a “crispier” savoy cabbage, boil it for a shorter period. This stew is surprisingly filling. The potatoes and garlic add just the right amount of substance. Alternatively, you can make ground beef patties as a side. 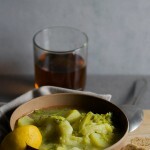 I hope you like this savoy cabbage stew. You just may become enamored. Take the outer savoy cabbage leaves and discard, then cut out the veins and also discard. Dice the remaining head into large chunks. Place in a deeper pot, salt generously and bring to a boil on medium. Boil for 3 minutes and drain. Peel and dice potatoes. Mince garlic. In a large pot, heat up the oil on high. When hot, add the flour and mix vigorously. Add all other ingredients, 3 cups of water, and bring the temperature down to medium. Stir well, and let simmer for 20-30 minutes. Serve hot. (Optional) Add a squeeze of lemon. 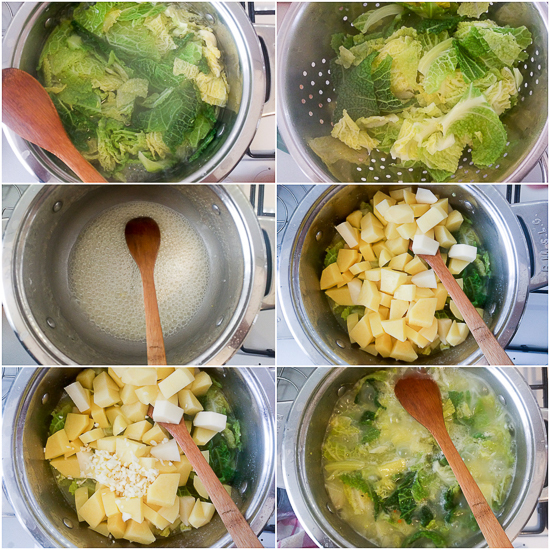 If your savoy cabbage is older, boil it closer to 5 minutes in the beginning. If it’s a younger head 2-3 minutes will be sufficient. I’m amazed at how tasty this came out for something so simple! I had it both with and without lime, and it’s perfect for giving it that extra kick. Anytime and thank you for getting back to us. 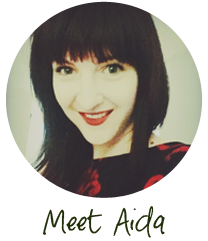 It makes us so happy to hear people are enjoying and making the recipes. Also, it’s good to know that regular cabbage works too!